Overcome with the sheer beauty of her surroundings, she felt at ease, a quiet sense of satisfaction; she felt free being at one with nature. A few months ago I had the desire to escape. 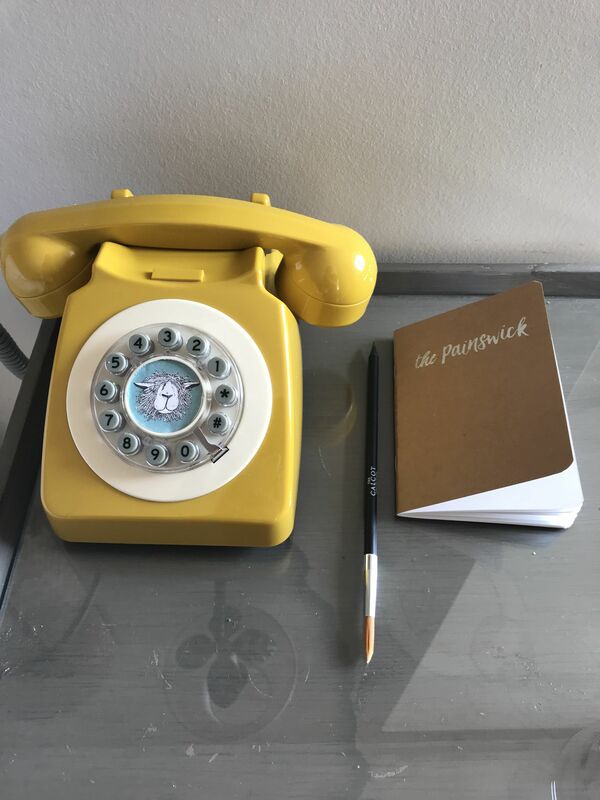 Overwhelmed by work, my Digital Marketing NVQ, blogging and never-ending routine, I needed a digital detox and break from the norm. When it comes to escaping everyday life, a weekend in the Cotwolds is just what the doctor ordered! 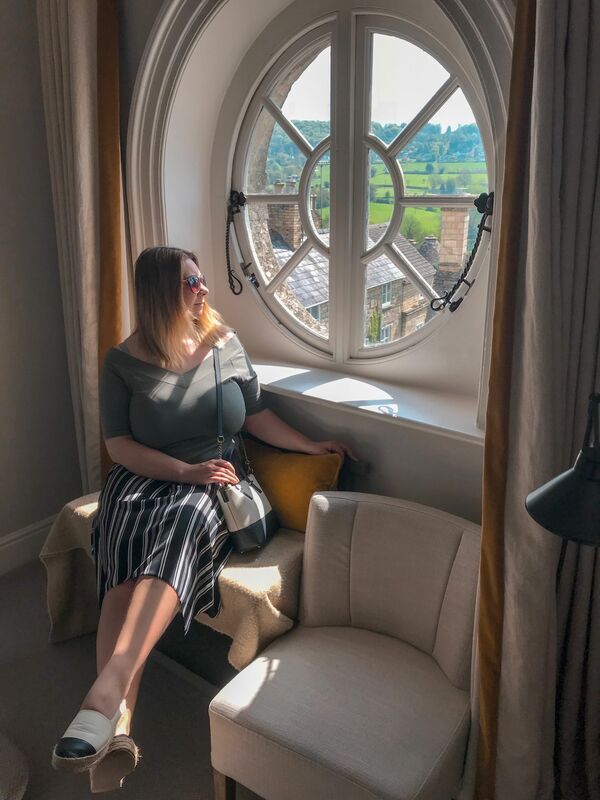 Painswick is somewhere that was already on my radar, Adam and I had stayed in Painswick during a romantic Valentine’s getaway a few years back. 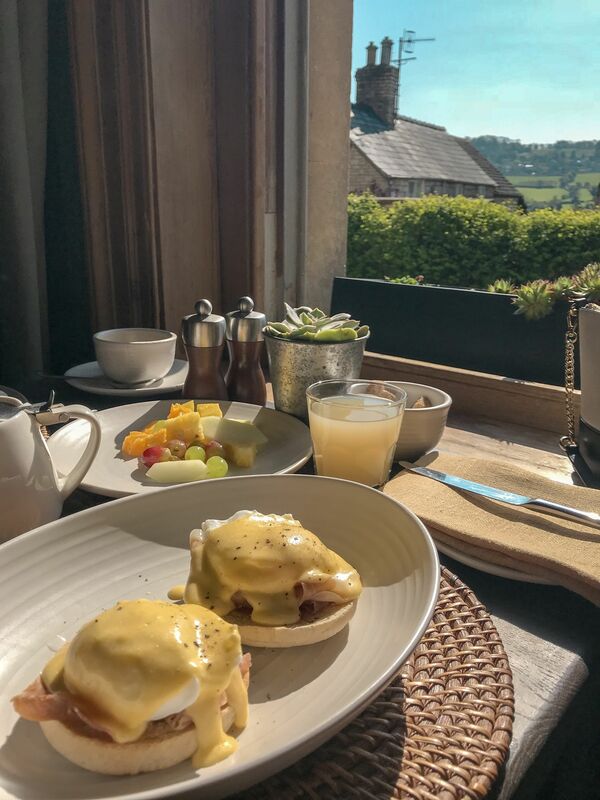 Instantly drawn to the old-time nostalgia of the stone buildings and rambling countryside, I knew within an instant that Painswick would be the ideal place to switch off for a couple of days. 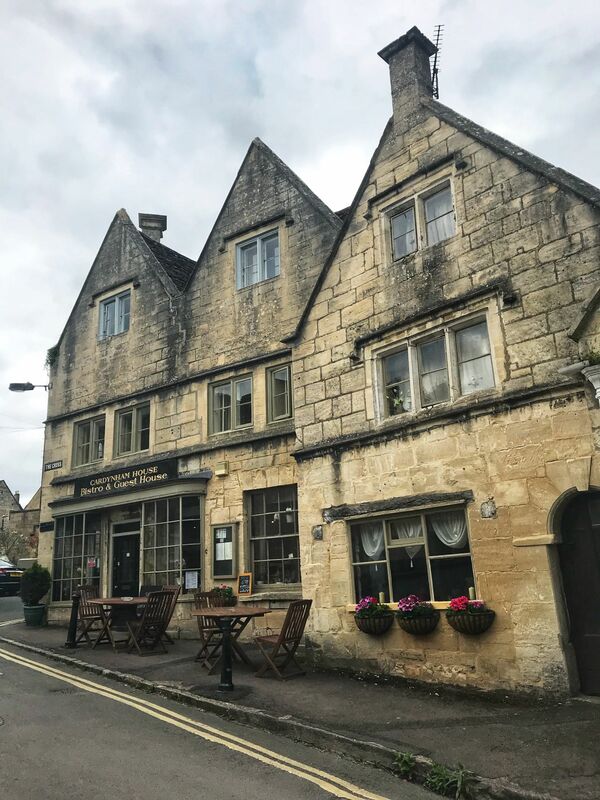 Painswick is a small village in The Cotswolds, located within a couple of hours of our home in Milton Keynes, so is just far enough to escape. If you’re visiting London, a tour from London to the Cotswolds is one of the most scenic ways to escape the city. The perfect place to switch off from city life, indeed. In fact, you literally see your phone signal whittle down to nothing as you pull up to Bulls Cross, the winding street that leads you down to the remote village. Another thing, it ’s not called Bulls Cross for nothing. 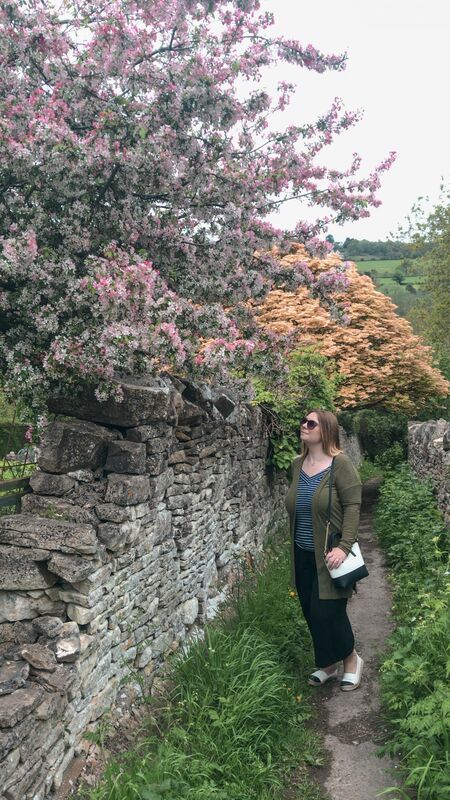 Yep, no signal and a bull with a forlorn stare blocking the path to a narrow lane was not how I’d envisaged beginning a weekend of relaxation in the Cotswolds, but nature knows no bounds. After a few hair-raising moments, the bull retreated, allowing our descent into Painswick. It was at this point I thanked my lucky stars that Adam was driving. Blind bends, narrow streets and having to give way whilst navigating the car up a hill is not something I can accomplish at the best of times. I had no intention of leaving my mark on picturesque Painswick by way of rolling the car into the age-old buildings! 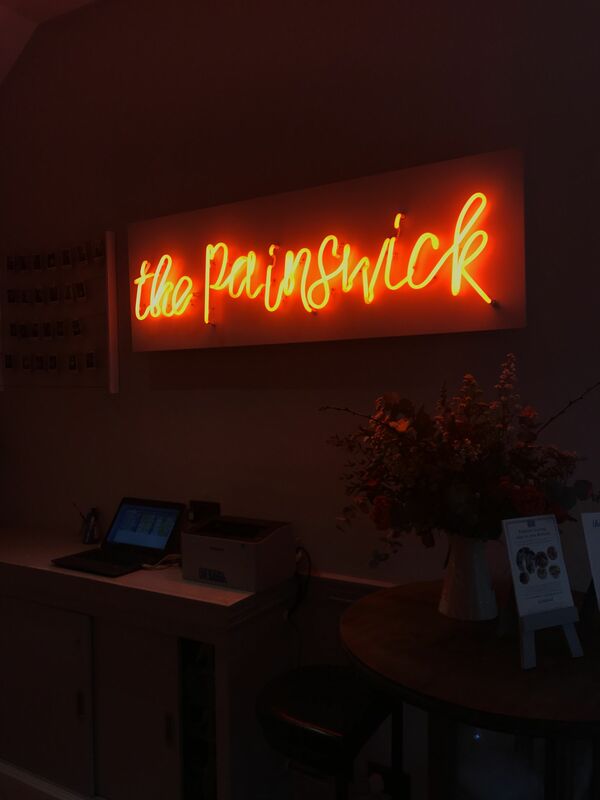 We both took a little sigh of relief as we slid our way into the car park of our hotel, aptly named The Painswick. 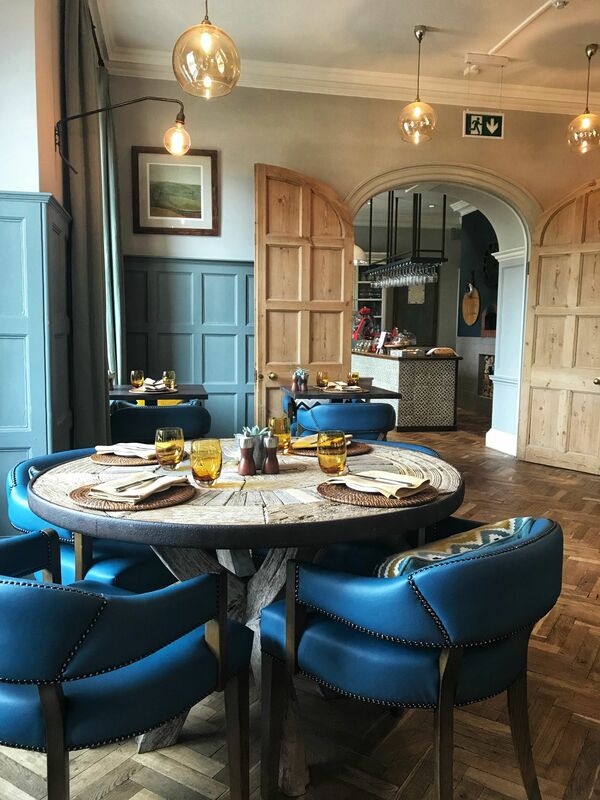 Perched atop the rolling hills, the somewhat looming Painswick Hotel has an air of grandeur to it. 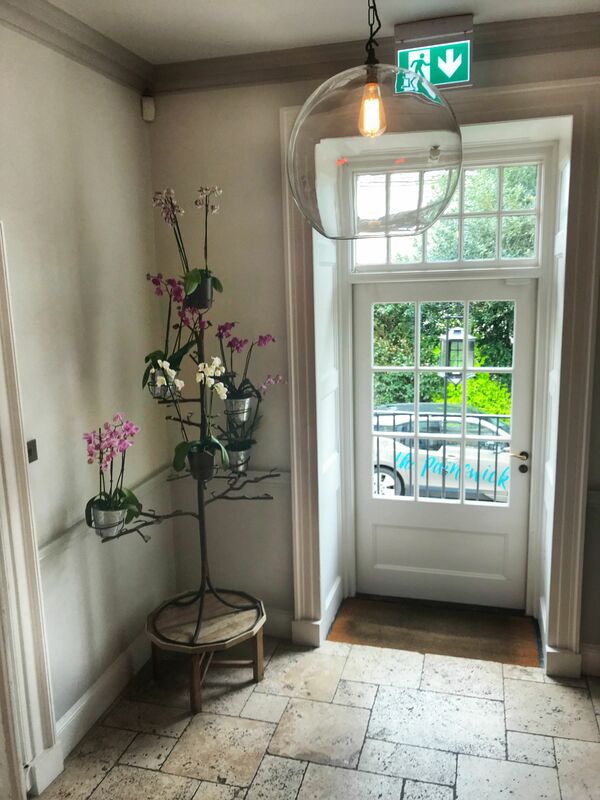 A welcoming foyer, complete with a floral display and neon lights (you’ve only got to read my Luma Hotel review to know I’m a sucker for these things) are some of the eye-catching elements you see as you walk in. On arrival, our room wasn’t quite ready (that’ll teach us for being early for a change) so this gave us the perfect excuse for lunch in the restaurant. 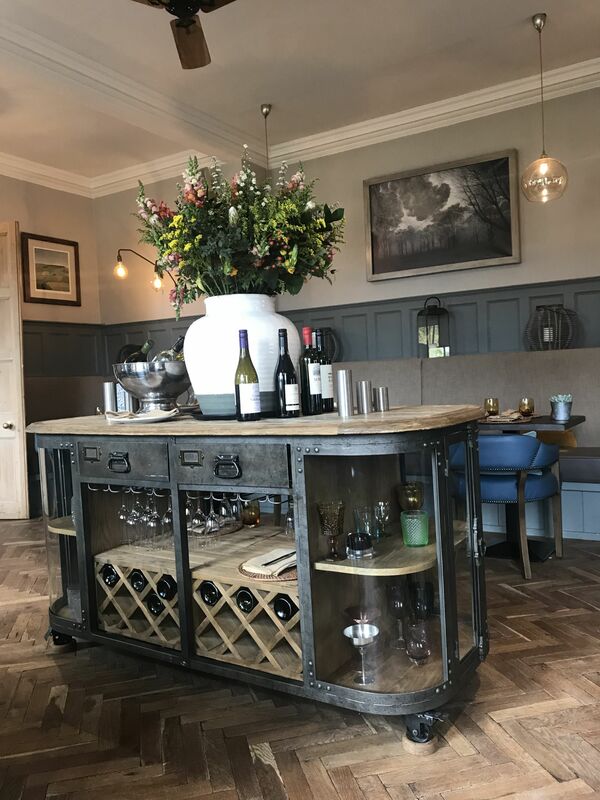 The restaurant, overseen by Head Chef Jamie McCallum, has a modern, yet rustic feel with parquet wooden flooring, plants, and contemporary light fittings. 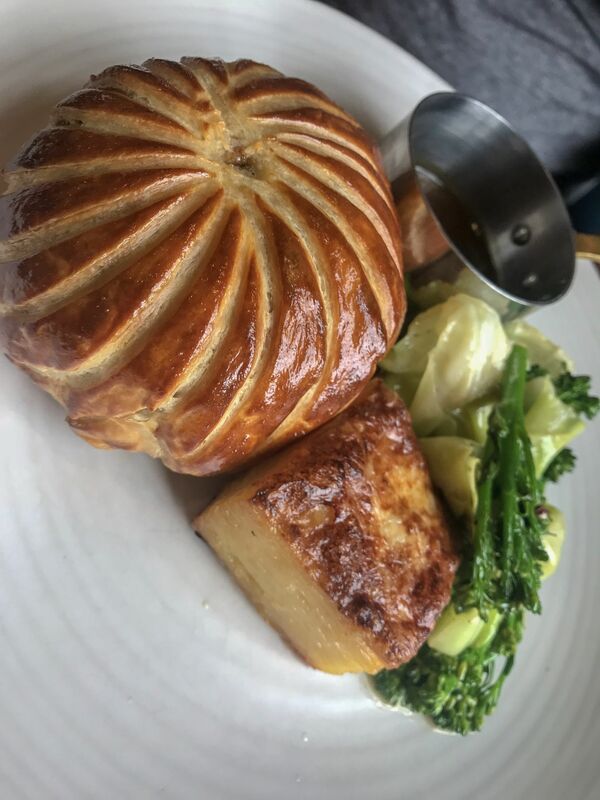 After polishing off our well-presented and well-needed lunch, beef Wellington for Adam and salmon with asparagus for me, it was time to check in. Did I mention the non-alcoholic cocktails are delightful too! 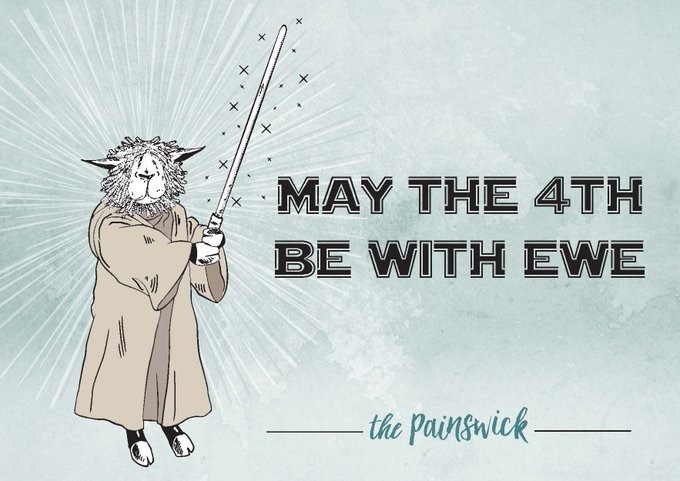 We had heard great things about The Painswick. 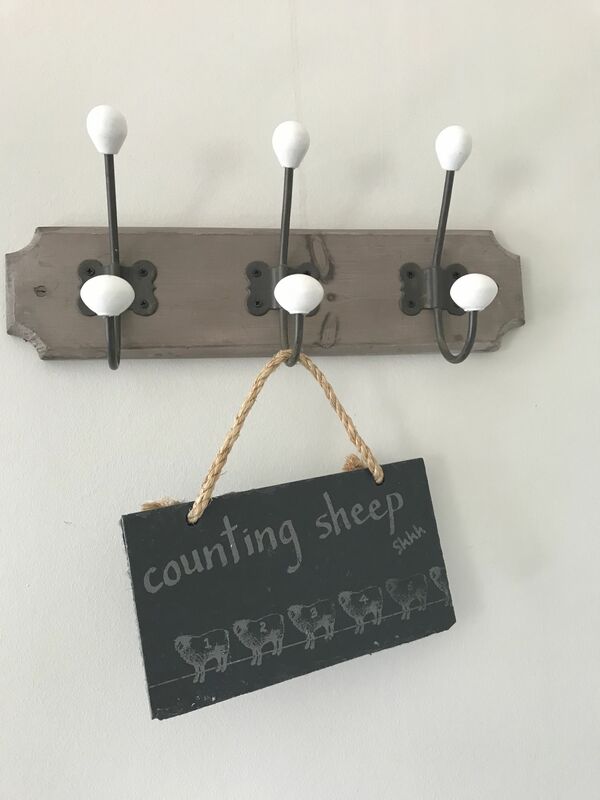 Though, as we had only booked our room a couple of days before on a ‘May the Fourth Be with Ewe’ deal, we had already expected the nicest of rooms to already be allocated. 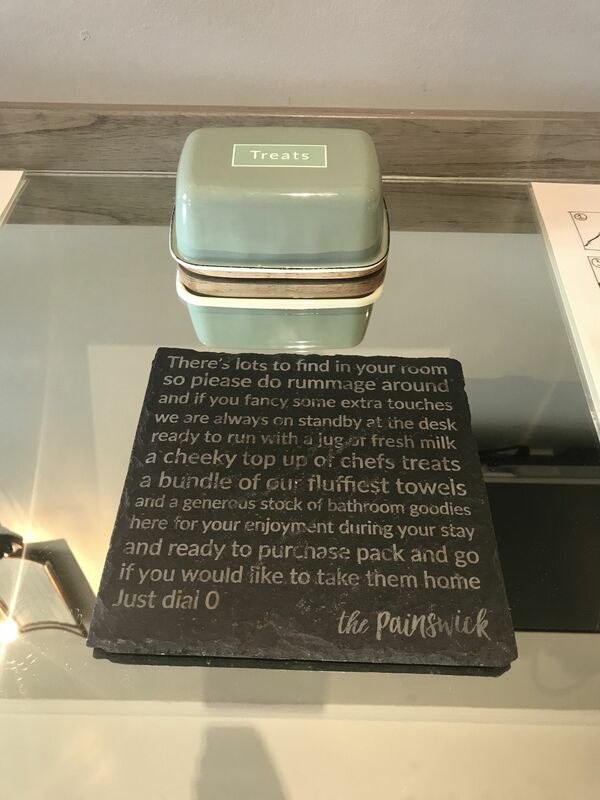 Little did we know, with only 16 rooms at The Painswick, all the rooms have their own individual charm. We were taken aback when we saw our room ‘Elcombe Brook.’’ The saying ‘a kid at Christmas’ springs to mind. 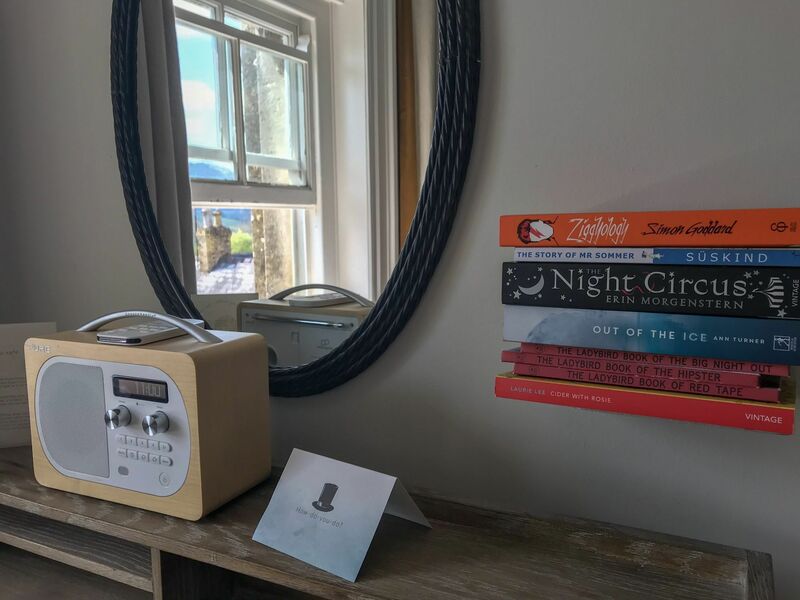 Even the country magazines scattered on the side table excited me and I couldn’t wait to take in all of our room and explore. Each room has been designed with an elegant eye, blending in perfectly with the rural British countryside setting. 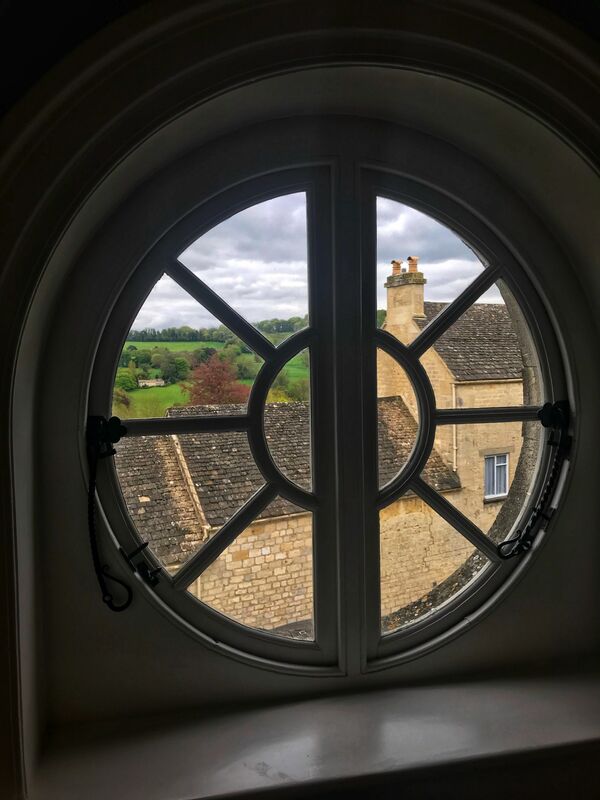 I was particularly taken with the circular window, giving us a picturesque outlook over the Cotswold hills. The hotel had even left us some treats from the chef’s pantry…Yes, it was fair to say I loved the hotel already. As I write this post I can feel my smile reaching my eyes. I love nothing more than relaxing in a charming bolthole with Adam, surrounded by countryside. 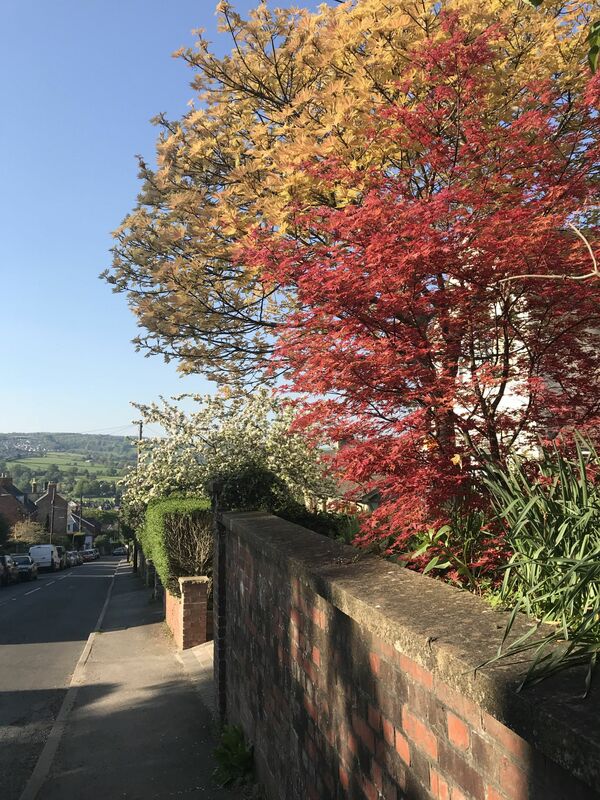 Exploring the village really gives you a sense of British pride knowing that this picturesque scenery is almost on your doorstep. It’s the idyllic picture of England that you’ll often see in films starring Hugh Grant, and worlds away from my less whimsical home in Milton Keynes. It made me rethink my vow on my WMGT Lake District post to see more of the U.K. There is so much beauty, let alone history in exploring England. 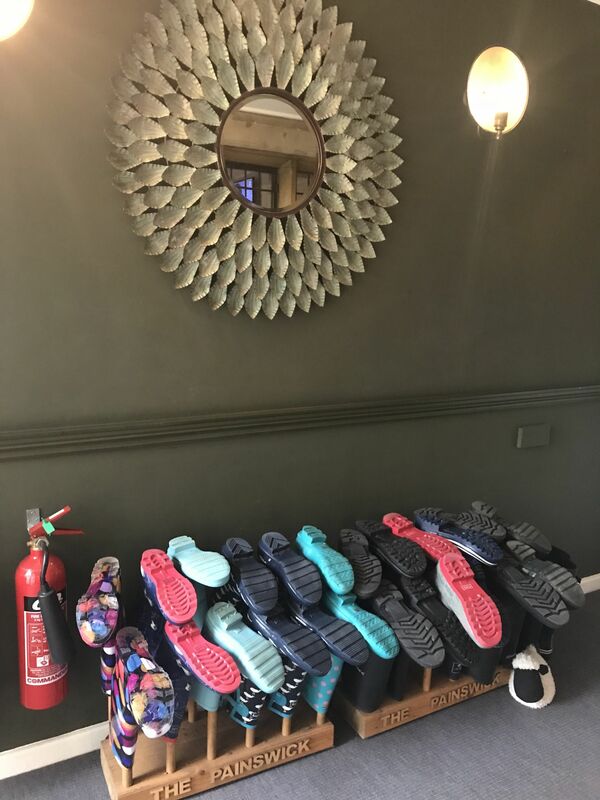 Luckily for us, we had perfect weather during our stay, but the hotel does kindly supply an assortment of wellies to be used during wetter days. 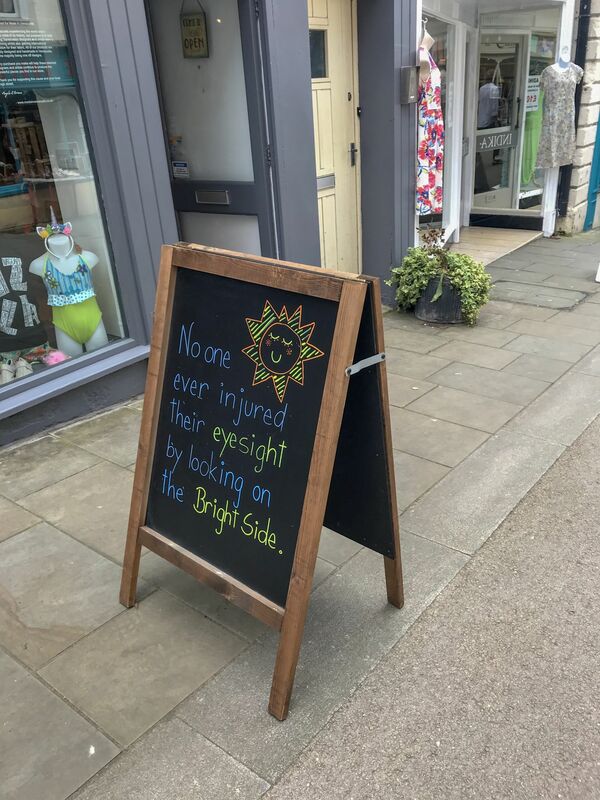 A very nice touch indeed! The nice weather this time around meant we could explore more of Painswick then we had managed on our previous visit. 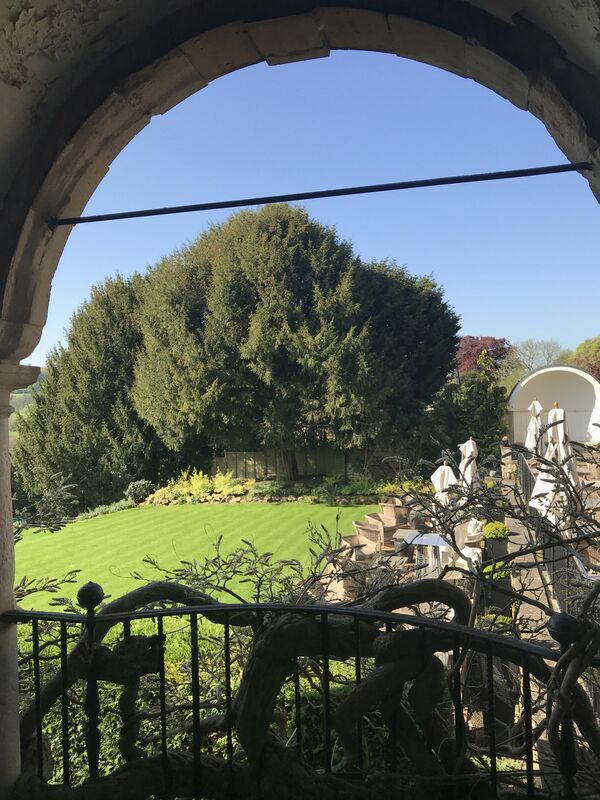 Tiny little bridleways filled with blossom trees, floral displays at Britain’s sole-surviving Rococo Garden, a tipple in the Royal Oak pub topped off with dinner at The Cardynham House Bistro were among the highlights of our day exploring Painswick. 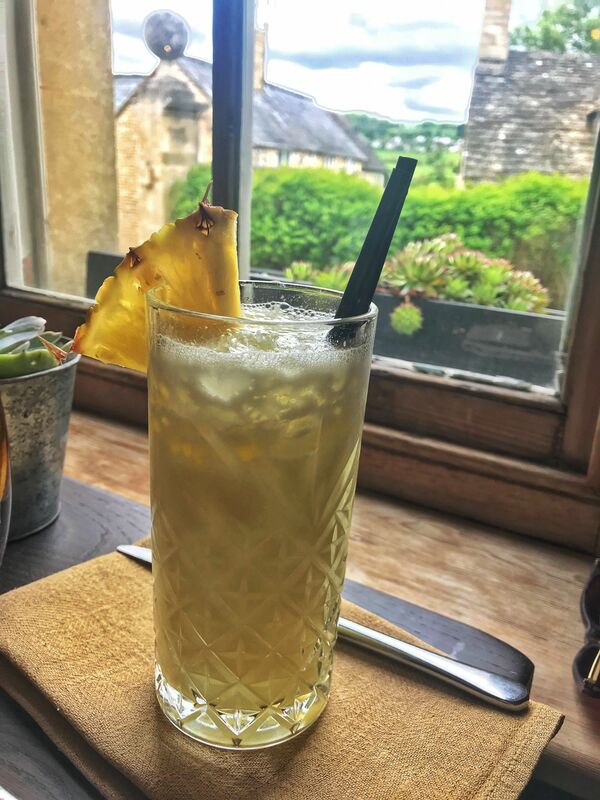 Our fun-filled day resulted in Adam nodding off as soon as we arrived back at The Painswick. So much for a romantic getaway eh! 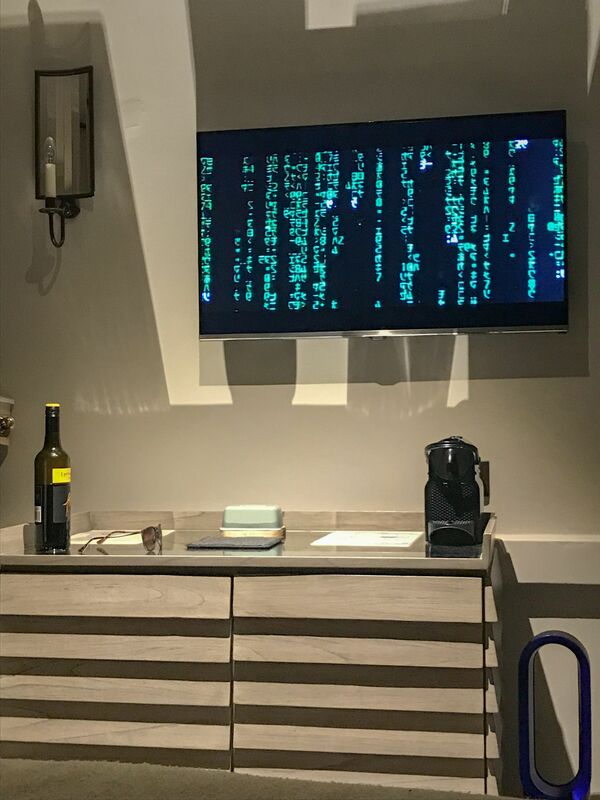 I kept myself amused by enjoying a glass of vino and watching The Matrix on the flat screen tv. There is something about the countryside air that makes you sleep like never before. Well let’s just say, it’s a bit like being beside the seaside. After a restful nights sleep, Adam and I headed down for breakfast. We returned to our little sun spot by the window as we perused the breakfast menu. 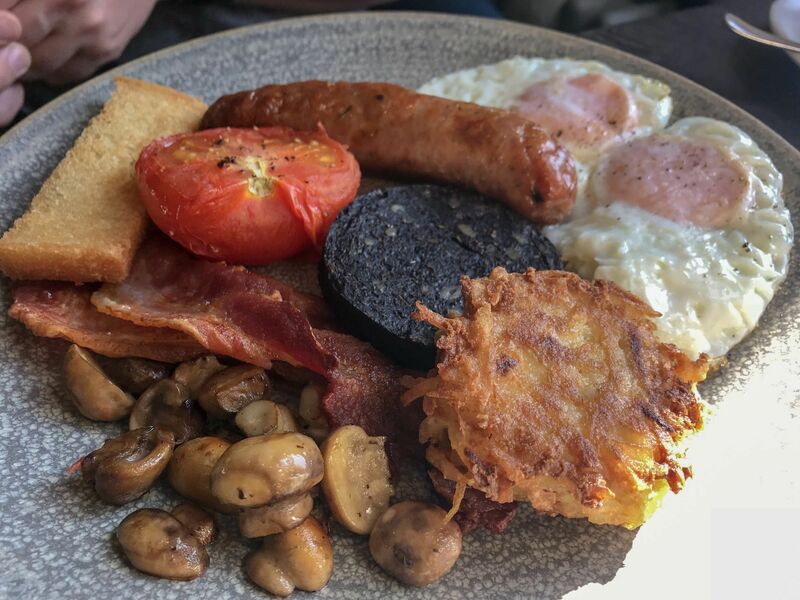 I mean… The Painswick even has my fave Marmite! Yes, it has it all! After our divine breakfast, we soaked up the view from the terrace area. 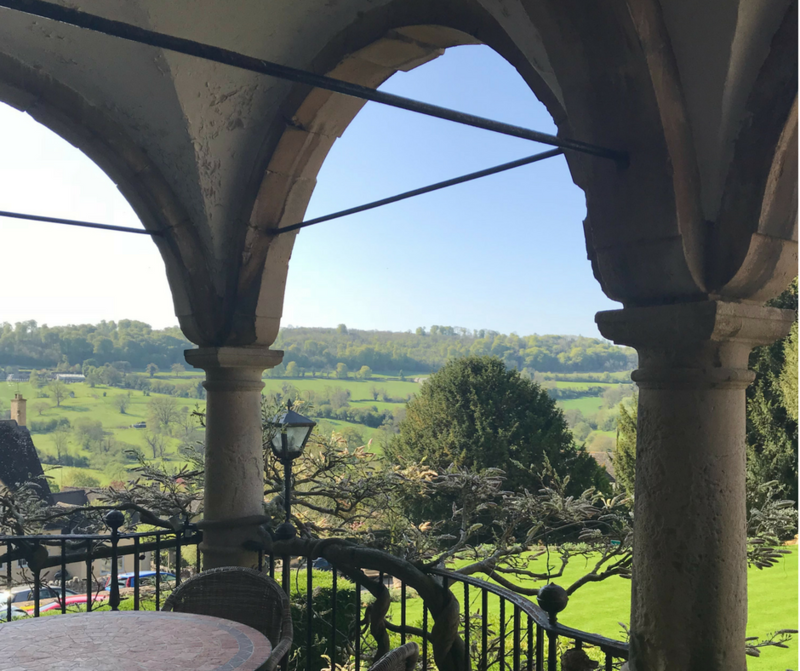 It was so blissfully calm sitting on the terrace with views out to the rolling Cotswolds hills. I could have honestly stayed on the terrace, orange juice in hand, listening to the birds chirping away all day. 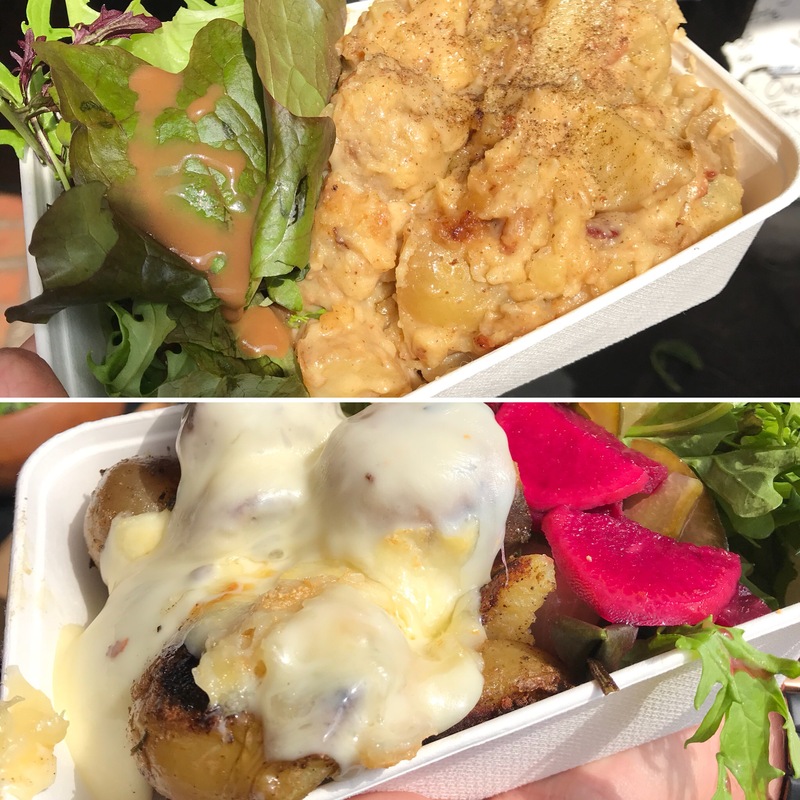 That is until Adam reminded me that we had intended on visiting the famous Stroud Farmers Market. 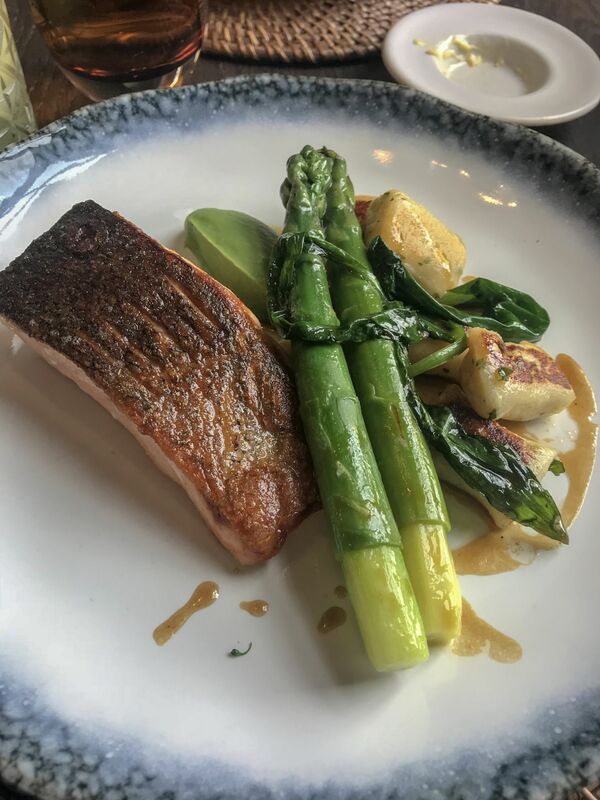 Located under ten minutes drive from Painswick, it’s worth it for these foodie delights on its own, but there are also various unique and interesting shops to browse in Stroud too. I particularly loved Butterfly Ball, where I picked up this cute butterfly candle which twirls when lit. 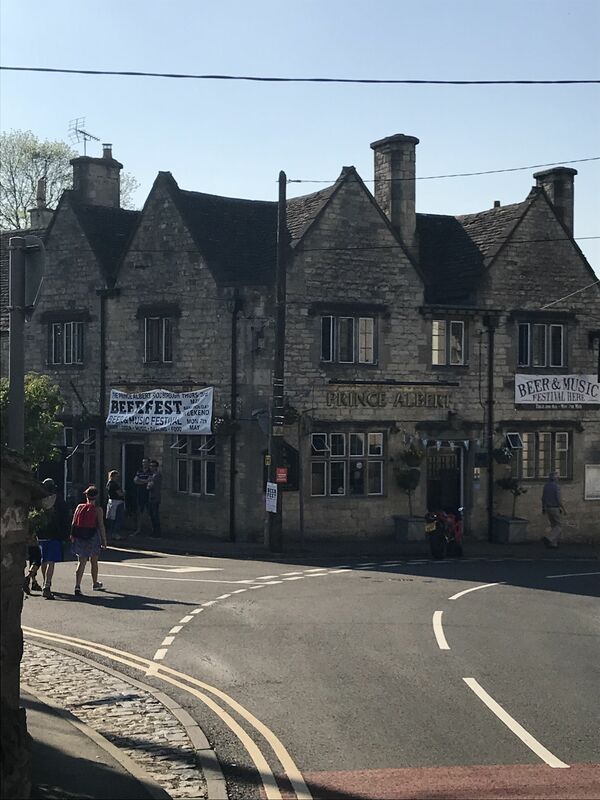 We even managed to check out a beer festival at the Prince Albert during our time in Stroud and the beautiful voice of local singer Em Musto. Followed by picturesque views over Rodborough Common. Perfect weekend indeed! Needless to say, Adam and I felt a bit glum having to vacate our relaxing retreat in the heart of the Cotswolds. A truly relaxing weekend and just what the doctor ordered. 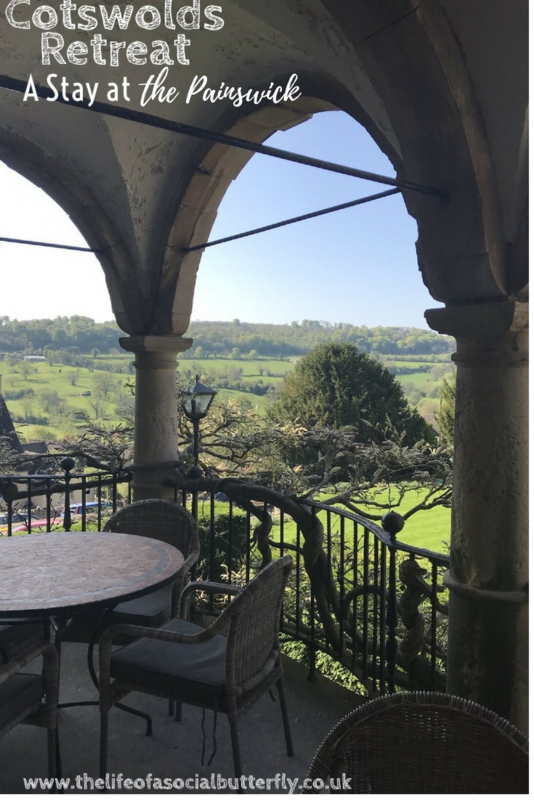 Unfortunately, we missed the blooming of the wisteria lining the terrace, which I noticed from stalking The Painswick’s Instagram page had bloomed a couple of weeks after our visit. This can only mean we’ll have to return another time! This is not a sponsored or collaborative post. I loved our stay so much that I wanted to share it. 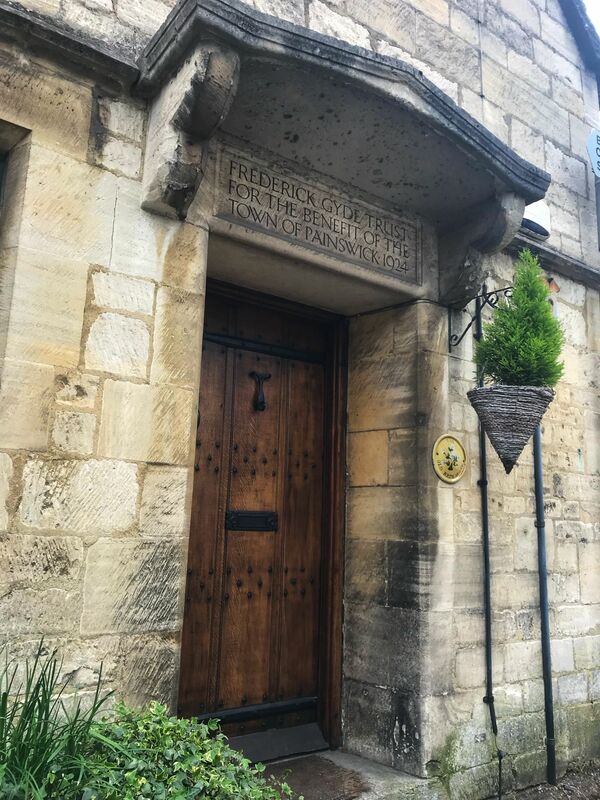 If you’re looking for your own peaceful Cotswolds retreat, look no further than The Painswick. Book your stay by clicking here. 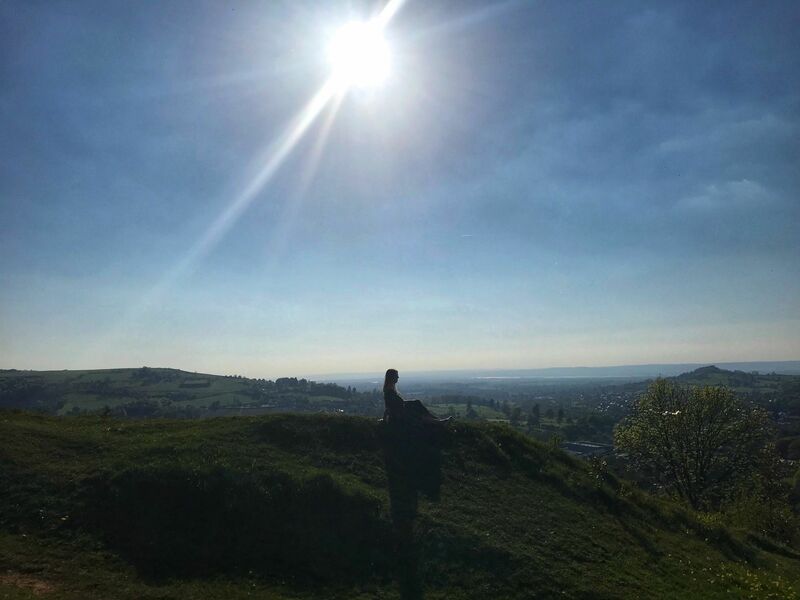 Have you visited The Cotswolds? If you have any recommendations please send them my way by commenting below. It is truly a slice of heaven! 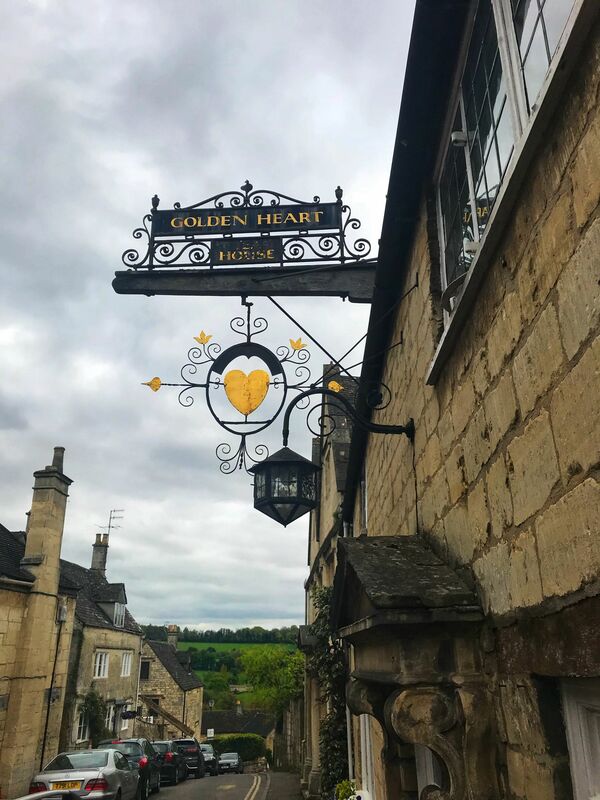 We visited the Bibury area, the kiddie section of the Blenheim Palace (MUST return to see the actual palace as I love the historical story of Queen Anne & her bff Sarah Churchill), and swung by Bakery on the Water for some SCONES! Chris was more keen on seeing London so we only allotted a day for Cotswolds and we lost half of it waiting 10,000 hours for a car rental! So, I am dying to return for a more proper stay!! I’ve been dying to go here, looks amazing in every photo! The view from your round window, the view from the terrace, the food… I need to book myself in immediately. Oh! 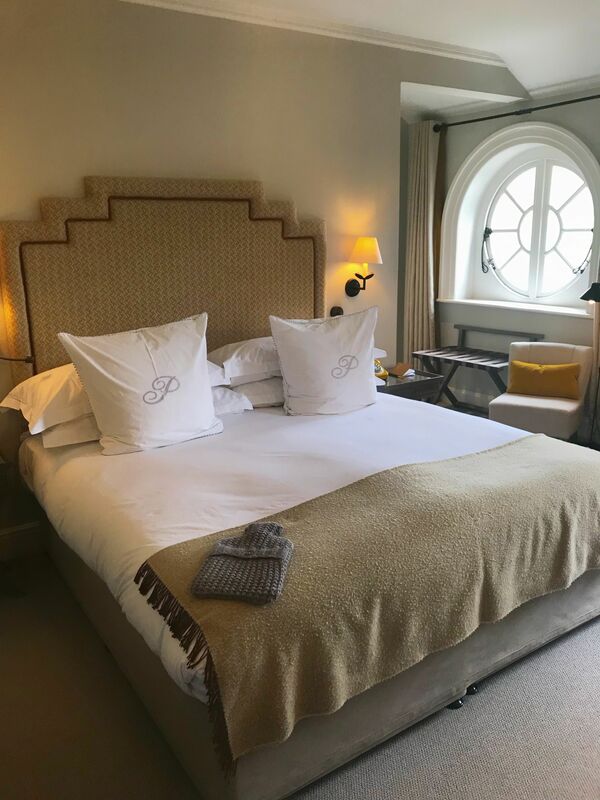 This really does look like such a lovely hotel stay; the perfect, relaxing break! Your hotel room looks lovely for the stay and yummmmm to the food!! Oh this looks like such a beautiful place! Oh this place looks so gorgeous! I definitely need to spend some time in the Cotswolds as I’m always told how beautiful it is! 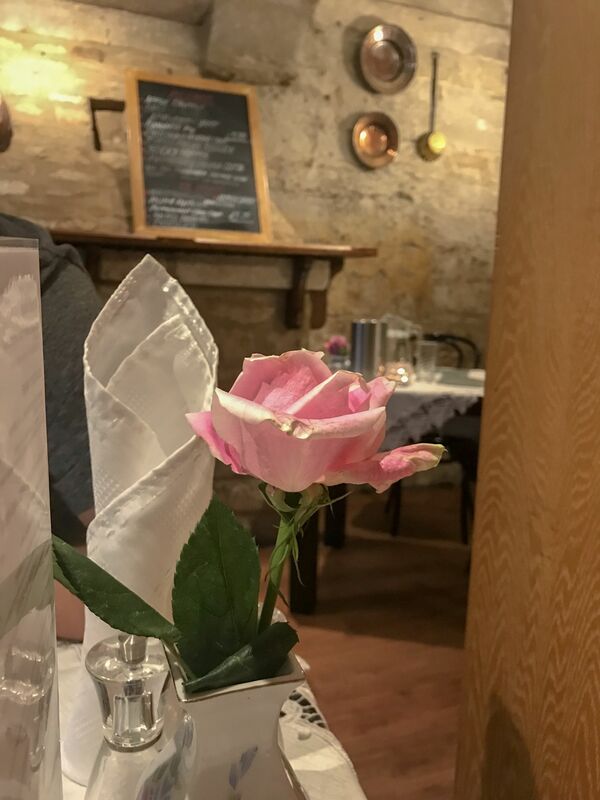 It’s our anniversary in November so I’ve been keeping an eye out for someone lovely for us to go for a couple of days and The Painswick is definitely ticking a lot of boxes! 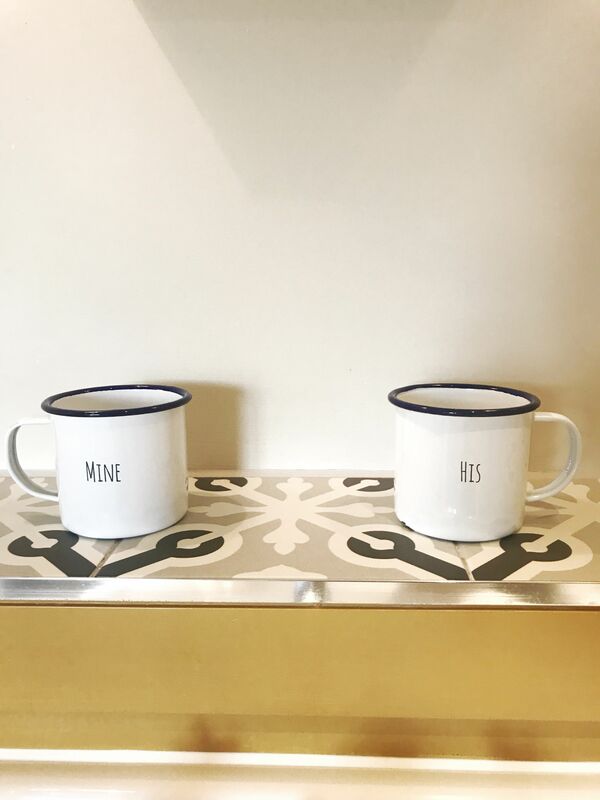 I really love all the little touches – the mugs are so cute! 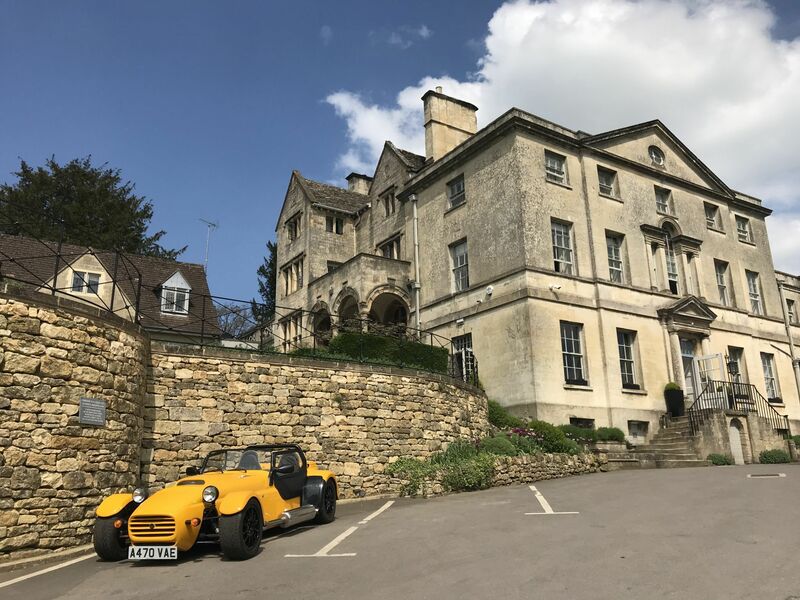 What an elegant and looking hotel to stay in, I do love the Cotswolds and old time feel of the place and British rural charm. My favourite aspect of the entire post is the view! Absolutely gorgeous and I could happily sit there and soak up the charm of the countryside enjoying a cup of coffee or two! These photos are amazing! Ok, you convinced me … I’m ready to go on vacation! Haha!